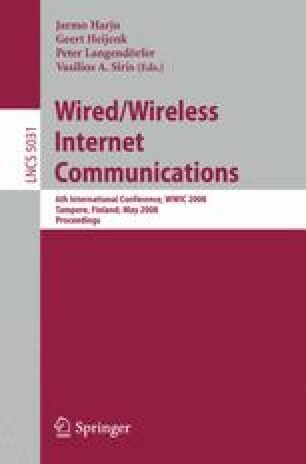 The Call Admission Control (CAC) method presented in this paper is based on the statistical properties of the network’s traffic variables. It probabilistically estimates the time until the release of a seized channel: the admission control depends on the computed mean remaining time averaged along all channels at a specific instant and on a time threshold. The policy produces a smooth transition between the QoS metrics, giving the operator the freedom to design the network at the desired QoS point. Another valuable property is that the algorithm is straightforward and fed only by simple teletraffic metrics: distribution and the first and second moments of Channel Holding Time (CHT). Simplicity is important for a CAC method because decisions for accepting or rejecting calls must be computed quickly and frequently.